Jervis Webb conveyor systems have been in use for over 100 years, and with Ultimation’s help, the Webb brand continues growing. There’s no better technology available for durable overhead conveyor equipment and Webb systems have always been the “gold standard” in conveyors. 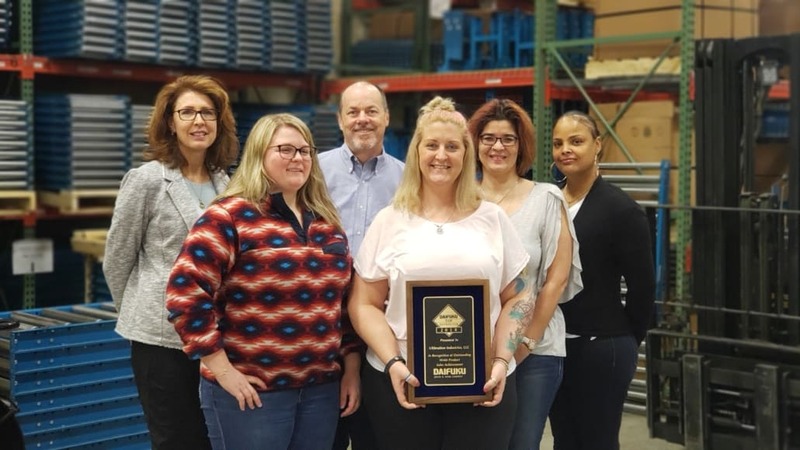 Ultimation recently received the award for the largest systems integrator and parts distributor for Webb conveyor systems for 2018. Webb’s overhead conveyor technology is available through a network of integrators that manage the design, build and installation of Webb systems. They integrate the base components into fully functional overhead conveyor systems complete with the necessary support steel, carriers for parts, electrical systems, installation and software programming. This arrangement enables Jervis Webb to focus on the conveyor mechanical components like track sections, trolleys, drives and take-ups. Other integrator partners with broader experience can then implement “turn key” conveyor solutions for their customers. 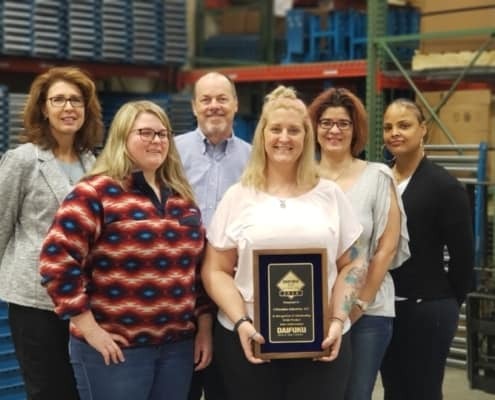 Ultimation CEO Jacqueline Canny received the award for the largest Webb integrator for 2018 at the group’s recent national integrator meeting in Savannah, Georgia. Ultimation CEO, Jackie Canny, is proud of the growth that Jervis Webb and Ultimation are achieving with this business arrangement. 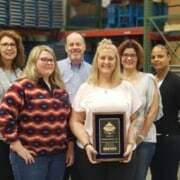 “Our Jervis Webb overhead conveyor business segment has grown dramatically since Ultimation’s first system with Webb in 2012. We are delighted to now be recognized as the largest integrator and parts distributor. We’re supporting Webb’s business growth with systems and parts throughout the United States, Mexico, Canada and South America. Webb is the best conveyor equipment available in the market, and Ultimation is growing quickly in this business segment” said Canny. You can learn more about Jervis Webb’s rich history in the conveyor business in this post. Want to learn more about the different types of Webb overhead conveyors available? This product category page explains the types of overhead conveyors and their uses. If you’d like general help comparing floor conveyors and learning about other conveyor types, which types to use and how to specify them? This step by step guide will help.